For millions of workers, telecommuting has become a daily reality: the number of employees who regularly work from home in the US has risen by 115 per cent over the past decade, according to Global Workplace Analytics. This increase brings the total number of remote workers in America to 3.9 million, or 2.8 per cent of the whole workforce. 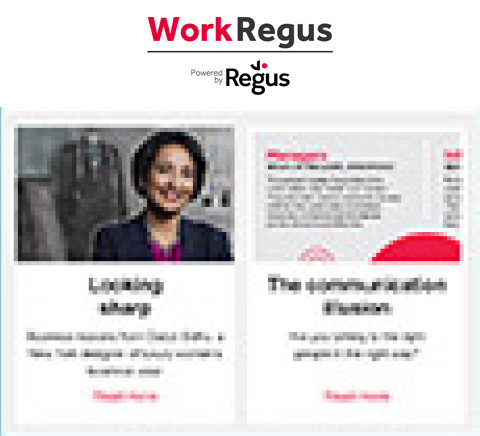 Ninety-three per cent of people worldwide stated in the Regus Great Big Survey that they would choose an employer who offered flexible working over one that didn’t, and it’s a figure that’s certain to grow in the years ahead. The popular image of a remote worker is a recent graduate working in a creative industry, perhaps graphic design or advertising, while sipping flat whites in a coffee shop. But the reality is that telecommuting has a foothold in every industry. The Global Workplace Analytics data doesn’t cover freelance workers – instead, it showed that remote working was most common among managers, with professional, scientific and technical services industries taking the lead. Far from being dominated by millennials, half of telecommuters are aged 45 or over. These respondents also tended to be better educated and earned an average of $4,000 a year more than employees who didn’t work remotely. Increasingly, remote working isn’t being seen as a cheap option for marginal workers, but as a way of valuing experienced, highly qualified staff seeking the right work-life balance. Despite often taking on a larger workload, our research shows that remote workers have a better work-life balance and feel more positive about their jobs than office-based employees. With 52 percent of telecommuters less likely to take time off and 23 percent prepared to work more hours, remote workers are more productive, too. The Global Workplace Analytics study estimated that employers can save $11,000 a year through telecommuting. Employees also benefit – workers get back the equivalent of 11 days a year in reduced commuting time and can save more than $4,000 by cutting their spending on transport costs. The rapid growth of remote working in some cities underlines the importance of technology and infrastructure. Chattanooga in Tennessee was the first city in the US to roll out 10 gigabit internet connections, which are around 1,000 times faster than the average broadband connection. The result? A 325 per cent increase in telecommuting. By contrast, remote workers are disrupted by areas with poor infrastructure, with 22 per cent of GBS respondents saying their work has been interrupted by unreliable internet connections at home. Flexible workspace can offer the best of both worlds, with a wide range of locations close to your employees’ homes, combined with robust IT infrastructure so teams can stay connected and agile. As more businesses realize the efficiencies flexibility can offer, the remote working trend will continue to accelerate. Thirty-four per cent of entrepreneurs and business academics at London Business School’s Global Leadership Summit believe that by 2020 more than half the workforce will be working remotely full-time. The knowledge economy has been structured around traditional office roles for more than half a century, but now companies are envisioning a more flexible future.